The Edinburgh Property Blog today features an article from a guest contributor, Jake Ryan of Wise Knotwood Solutions all about Japanese Knotweed ….. something that all landlords need to be be aware of. Over to Jake ….. It has been estimated that Japanese Knotweed costs the British economy an astounding £166 million each year. The invasive plant has been listed by the World Conservation Union as one of the worst invasive species globally so it is critical that landlords familiarise themselves with the destructive plant, especially in spring. The spring of 2018 was dominated by snowy and icy conditions that caused destruction all over the U.K. However, when it comes to invasive plants, this destructive weather was actually a blessing in disguise as it delayed the emergence of Japanese Knotweed by up to two months. Unfortunately, the same can’t be said this year as the unusually warmer weather has led to Japanese Knotweed emerging even earlier than normal. This is a serious concern and both landlords and tenants must remain vigilant as the invasive plant has the potential to devalue a property by tens of thousands of pounds. Why should landlords worry about Japanese Knoyweed? As Japanese Knotweed becomes dormant in winter, the best time to tackle the plant is in spring before it has the opportunity to grow to dangerous heights. Japanese Knotweed often goes undetected as due to its attractive appearance, homeowners tend not to notice the plant at all. This makes the invasive plant even more dangerous as if it remains undetected. 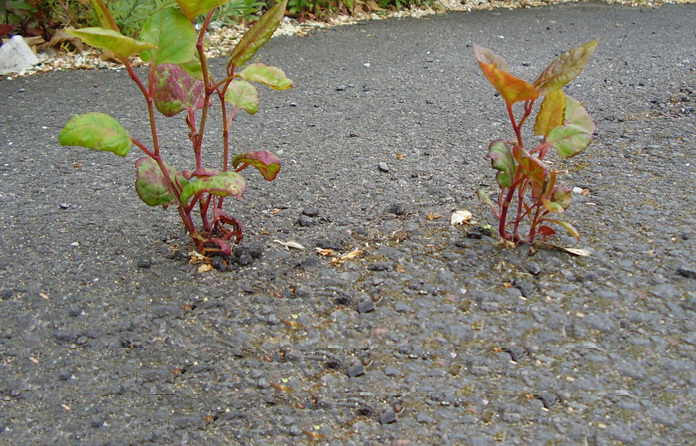 Knotweed is capable of causing disastrous consequences to the structural integrity of a building. The plant is even capable of growing through the tiniest holes and gaps in masonry and concrete if given the opportunity. 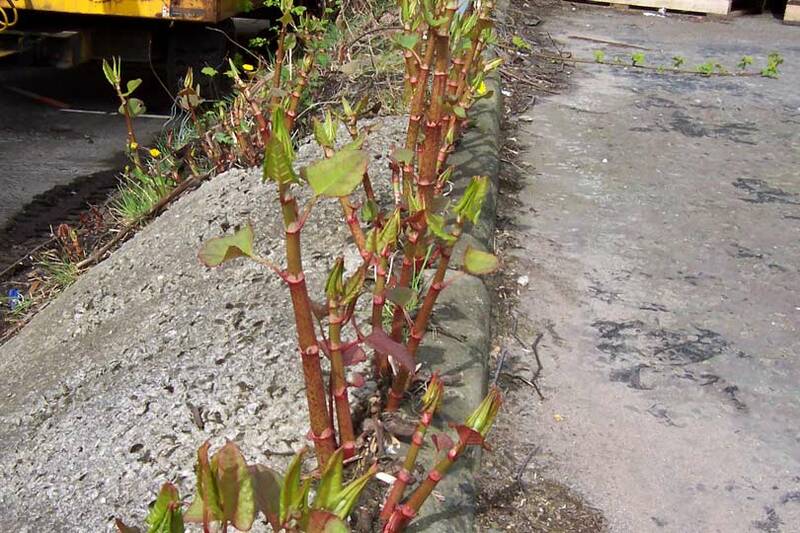 Japanese Knotweed should be of significant interest to any landlords looking to sell their property as an increasing amount of banks are now refusing to provide mortgages on properties affected by the plant. Spring is arguably one of the best times to spot Japanese Knotweed as the plant is at its weakest at this time due to it becoming dormant in Winter. 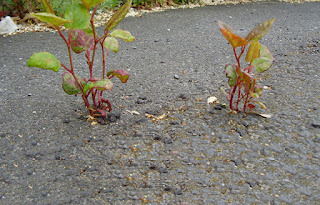 Knotweed can become increasingly costly to treat so it is important to treat it as soon as you notice the plant. Depending on weather conditions, Knotweed will normally first re-emerge in March in the form of pink and red buds shooting up from the ground. The plant grows a dangerous rate of 10cm daily so it is appearance is prone to change. The plant in its early stages is often compared to asparagus spears that will quickly develop into thick and hollow canes. These canes are similar in appearance to bamboo but come with distinctive pattern of purple speckles. As the weeks go by and its appearance continues to change, leaves will gradually begin to unroll from the canes as the plant grows bigger. The green leaves will contain a zig zag pattern on the stems and shaped similar to a heart but with a pointy end. 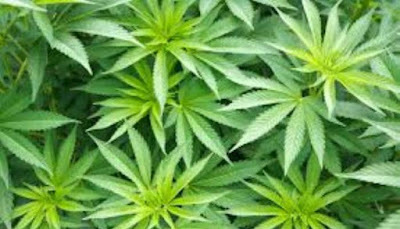 The plant is capable of growing up to 7 metres in any direction so it can soon grow out of control if left untreated. I’m a landlord with Japanese Knotweed – what’s next? Japanese Knotweed can cause incredible damage to properties and significantly affect a property’s value but it is important for landlords to remember this damage is completely unavoidable if the plant is treated in time. It is advisable that homeowners do not attempt to treat the plant themselves as incorrect treatment can cause further damage which will result in a more expensive treatment programme in the long run. The longer Knotweed is left untreated, the more expensive it will be to remove from your property. If you suspect you have Japanese Knotweed on your property then don’t hesitate to have the suspect plant examined by a professionally trained Knotweed surveyor before it grows out of control. Alternatively, upload photos of the suspicious looking plant to Wise Knotweed Solutions today to get a free assessment from one of our expert surveyors who will tell you whether or not the suspect plant is indeed Knotweed. 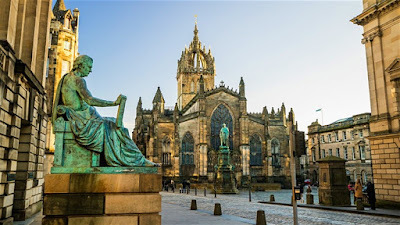 I recently attended a local meeting in Edinburgh where I got recognised as being The Edinburgh Property Blog chap (well you have to be recognised for something, why not that!). 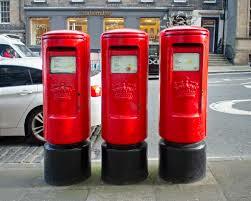 A question I was being asked repeatedly was ''What is the ideal property to invest in in Edinburgh?''. So I thought I would share my thoughts with you. I have always been of the opinion personally that “spreading the risk” is wise if you have a large portfolio. A couple in the Marchmont, a few in Dalry, some in Newington etc, makes sense. All your eggs in one basket is a risk if something unpredicted were to occur. I am also of the opinion that buying two properties for £175,000 is better than one at £350,000. If you choose wisely two properties at £170,000 might rent for £800 a month each, but you’d struggle to find a £375,000 house that would rent for anywhere near £1,600. Then there is the view that HMO properties cost more and change hands more regularly than non-HMO ones, so going for non-HMO ones might be wiser. But rents are generally higher in HMO properties which may well compensate for this. The “what if’s” are endless. Also, you need to be nimble when investing in property and change your investment strategy to take account of market, legislative and tax changes. Take tax as an example. 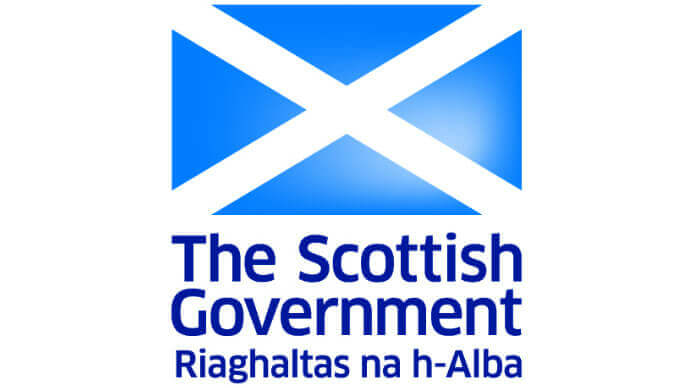 The ‘normal’ element of Land & Buildings Transaction Tax (the Scottish stamp duty to you and me) starts being charged at £125,000 and this is meaning that certain buyers buying properties at less than, or as close to, £125,000 to mitigate this tax …. although I would point out that the Additional Dwellings Tax element of LBTT normally applies to the whole cost of a buy to let property. In addition, there are a number of fairly ‘fixed costs’ associated with renting out a property – for example, registrations and safety certificates – and, given their fixed nature, these are proportionally higher for cheaper properties. In short, don’t assume. Feel free to get in touch and ask me what I think about your plans. 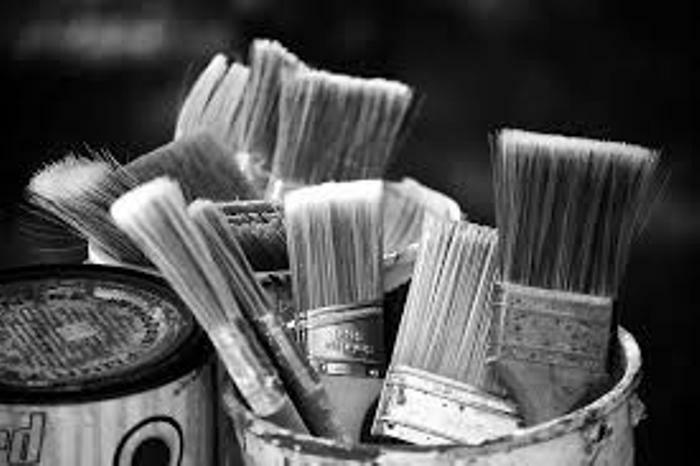 I would be happy to cast an eye over the property you are considering buying and let you know what I think the pro’s and the con’s of it are – call me on 0131 603 4570 or email me on robert@thekeyplace.co.uk. If you are a landlord or thinking of becoming one for the first time, and you want to read more articles like this about the Edinburgh property market together with regular postings on what I consider the best buy to let deals in Edinburgh out of the many of properties on the market irrespective of which agent is selling it, then visit my blog, The Edinburgh Property Blog, or sign up for our monthly newsletter, the Edinburgh Property News. Welcome to the latest instalment of our regular blog - Confessions of an Edinburgh Letting Agent. I had an interesting email from someone in Edinburgh a couple of weeks ago, that I want to share with you (don’t worry I asked his permission to share this with you all). In a nutshell, the gentleman lives in the Trinity, he is in his mid 60’s and still working. He has a decent pension, so that when he does retire in a couple of years’ time, it will give him a comfortable life. He had recently inherited £160,000 from an elderly aunt. One option he told me was put it into a savings account. The best he could get from a reputable lender was a 2 year bond with the Post Office, which paid 1.5%, meaning he would get £2,400 in interest a year. One of his other options was to buy a property in Edinburgh to rent out and wanted to know my thoughts on what he should buy, but he had concerns as he didn’t want to take a mortgage out at his time of life he was also worried about all the tax changes he had read about in the papers for landlords. Notwithstanding the war on Edinburgh landlords being waged by both the UK and Scottish Governments at the moment, the attraction of bricks and mortar endures for many. As our man is a cash buyer, he would not have to deal with the intricate cut to mortgage interest tax relief that will diminish, or even eradicate, the profits of some Edinburgh landlords. It’s true he would face the extra 4% in Land and Buildings Transactions Tax (the old ‘Stamp Duty’) to buy a second property, but with some good negotiation techniques, that could soon be mitigated. I told him that buying a Edinburgh buy to let property is all about the total return on investment. True, he could put the money in the Post Office bond and receive his interest of £2,400 a year, or as he rightly suggested, invest in property in Edinburgh. 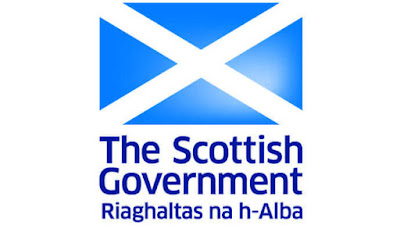 The average yield (yield being the equivalent of the interest rate on the property) at the moment in Edinburgh is 5% per annum, meaning our potential F.T.L (First Time Landlord), should be able to, depending on what he bought in the town, earn before costs £8,000 a year. 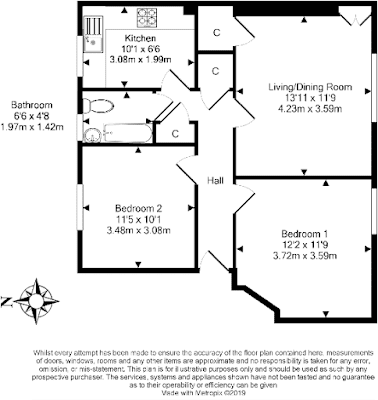 (However, I told him there are plenty of landlords in Edinburgh earning half as much again (if not more), if he was willing to consider more specialist investment types of properties – again, if you want to know where – look at my blog or drop me an email). The bottom line is this, the success of investing in Edinburgh buy to let property versus a savings account with the Post Office (or whatever Bank or Building Society is offering the best rate) will depend on the performance of those assets. Unlike a savings accounts, with property the capital you invested can also go up (and yes, it can go down as well – more of that in second). Property values in Edinburgh have risen by 4.98% per annum on average over the last five years, meaning that on top of your £8,000 in rent, but also seen an uplift of £7,968 …meaning his overall return for the year would have been £15,968 (not bad when compared to the Post Office!). ... but the doom mongers amongst you will say, property values can go down, as they did in 2008 and in 1988 and 1979. Yes, but after 1979, prices had bounced back to their 1979 levels by 1984 and went on to grow an additional 58% in the following four years. Then again, they dropped 1988 and did take 13 years to reach back to those 1988 figures, but the following six years (between 2001 and 2007) they then increased by an additional 66%. Now, according to the Registers of Scotland, average property values in Edinburgh currently stand 24.2% above the January 2008 (ie pre crash) level, and anicdotal evidence suggests that in the nicer parts of Edinburgh, we are well above these sorts of levels. Therefore, all this talk of property crashes seems unfounded. 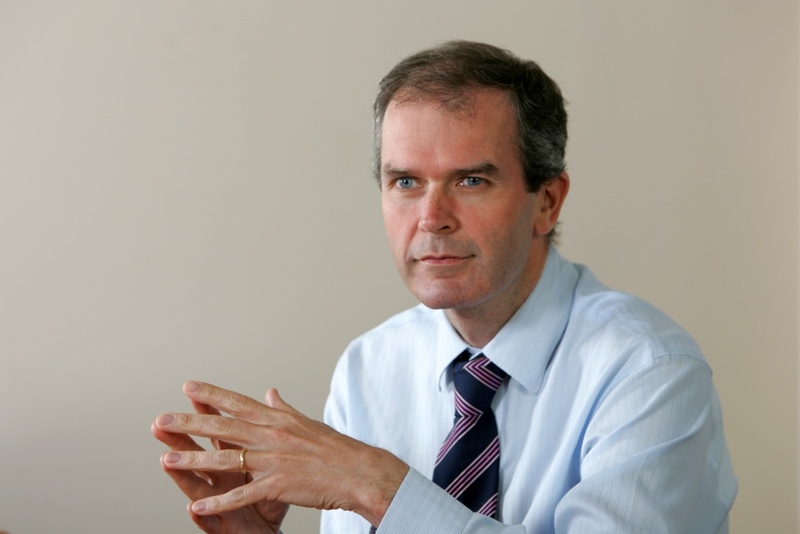 If you would like a chat to find out more about investment property and property management in Edinburgh please pick up the phone (0131 603 4570) or email (robert@thekeyplace.co.uk).